In Bormes-les-Mimosas, in the private and guarded domain of Gaou Bénat, this property of about 353sqm is located in the Village des Fourches. 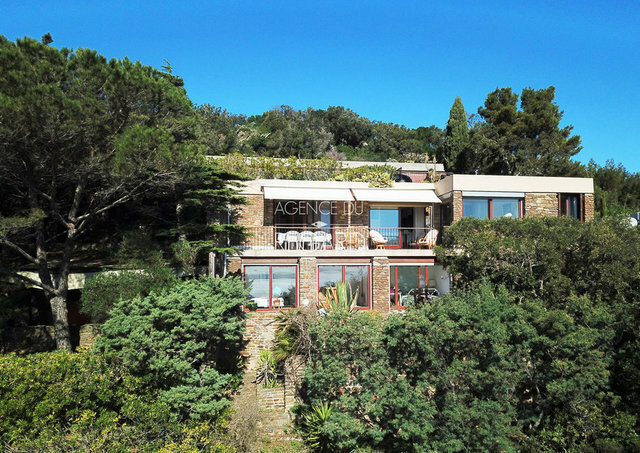 Not overlooked and facing south, the land is sloping and decorated with a Mediterranean garden. A breathtaking view, from the green roof of the villa, allows you to enjoy an exceptional view of the Bay of Gaou, the Levant and the open sea. Villa of about 135sqm built on two levels in 1975, it has 6 bedrooms. It enjoys a panoramic sea view. Cellar. 2 parkings.